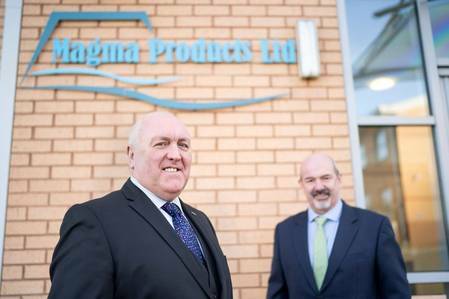 Oil and gas commissioning and start-up specialist Magma Products announced Tuesday it has appointed Philip Tweedy as managing director. Tweedy, previously commissioning manager at Magma, will be responsible for day-to-day operations at the company’s Aberdeen, Great Yarmouth and Bucharest offices. Previous managing director Paul Rushton will assume the role of chairman to focus on strategy, growth and business development with a number of industry projects due to come on stream in late 2019 and 2020. Rushton and Tweedy will continue to be based out of the Aberdeen office where the company manages projects in the North Sea, West Africa and mainland Europe. Magma is currently completing a compressor refurbishment project and also hopes to win additional business in Romania in the next few weeks. A former engineer with British Coal, Tweedy moved into the oil and gas industry in 1991 and has worked in commissioning ever since. He worked on projects for a number of companies including Harland and Wolff, Halliburton Brown and Root, Amec, Nexen, BP, Qedi and Shell, before joining Magma Products in 2013. Magma Products has carved out a niche in the arena of commissioning, with a robust track record of managing all the checks, inspections, certification and tests that need to be carried out on components, systems and infrastructure before handover to the operator, duty-holder or project lead. In addition, Magma has developed its own custom-designed online solution to enhance safety and efficiency during key phases of production projects. The Completion Hand Over Management System (CHOMS) is a web-based tool designed to capture all completion and certification data for all parts of a project. Having experienced one of its busiest periods towards the end of last year, Magma said it has the scope to significantly increase the current headcount of 53 through its database of technical support and engineering personnel for commissioning and start-up projects.